The Boulder Summer Conference in Consumer Financial Decision Making, now in its 8th year, is the world’s foremost conference for discussion of interdisciplinary research on consumer financial decision-making. Consumer welfare is strongly affected by household financial decisions large and small: choosing mortgages; saving to fund college education or retirement; using credit cards to fund current consumption; choosing how to “decumulate” savings in retirement; deciding how to pay for health care and insurance; and investing in the stock market, managing debt in the face of financial distress. This conference brings together outstanding scholars from around the world in a unique interdisciplinary conversation with regulators, business people in financial services, and consumer advocates working on problems of consumer financial decision-making. Our goal is to stimulate cross-disciplinary conversation and improve basic and applied research in the emerging area of consumer financial decision-making. This research can inform our understanding of how consumers actually make such decisions and how consumers can be helped to make better decisions by innovations in public policy, business, and consumer education. Please see the 2016, 2015, and 2014 programs on the conference website to see abstracts of research by scholars in economics, psychology, sociology, behavioral finance, consumer research, decision sciences, behavioral economics, and law. Our format allows a very high level of opportunity for conversation and interaction around the ideas presented. We begin with a keynote session late Sunday afternoon about how consumer financial behavior is influenced by credit scoring and use of credit scores for non-lending purposes. The keynote session will be followed by a reception and poster session. Monday and Tuesday we have ten 75-minute sessions with two related papers from different disciplines, with discussion by an industry or government expert or a scholar from a third field. We begin with financial decision making of consumers in distress because of poor financial decision-making or situational stress. We then turn our focus to more basic processes that guide everyday consumer financial decision-making, both good and bad. Throughout the conference we schedule significant time for informal interaction outside of the sessions. The conference program committee will select papers for presentation at the conference based on extended abstracts. Selected papers must not be published prior to the conference. Authors submitting an abstract must commit to have a paper that is complete and available for review by discussants one month prior to the conference. Selections will be based on quality, relevance to consumers’ financial decision-making, and contribution to breadth of topics and disciplinary approaches. We consider not just the individual merits of the papers, but how they pair with another submission from a scholar in a different field. The organizers will invite authors of the best papers not selected for presentation at a plenary session to present their work at the Sunday evening poster session. There are links on the conference website for booking at the St. Julien Hotel and for registering for the conference. 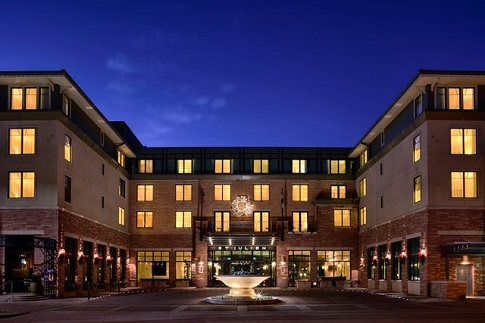 The conference will be held in the St. Julien Hotel & Spa. We have negotiated very attractive room rates for conference attendees (and families). Please note that the Conference has not guaranteed any rooms, rather they are on a “first come” basis. We encourage you to book your rooms as soon as you can. Boulder is a popular summer destination and rooms go quickly at the St. Julien Hotel. Boulder Summer Conference on Consumer Financial Decision Making: Submissions due Dec 15, 2016 was written on December 7, 2016 and filed in Conferences.